It is so weird to think that this time last week I was bundling up every day in Florence and now I am wearing flip flops in Florida. I have to admit, I miss the cold weather. As annoying as wearing tights every single day can be, I really enjoyed all of the layering. Layering gives you so many opportunities to play with color, texture, and pattern. And you know how much I love color and mixing prints! 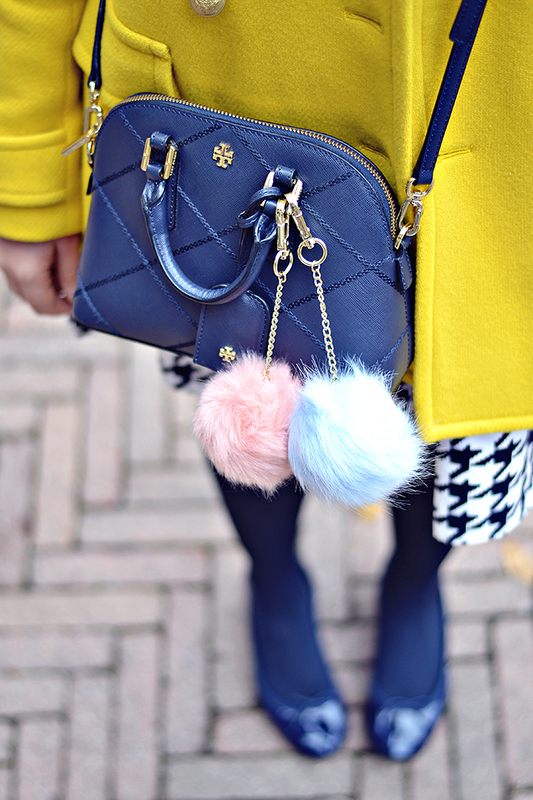 I still can't get enough of this yellow coat and it makes me so sad to think I won't get to wear it for awhile. Hopefully Florida will finally see winter, or I will just have to travel somewhere chillier.